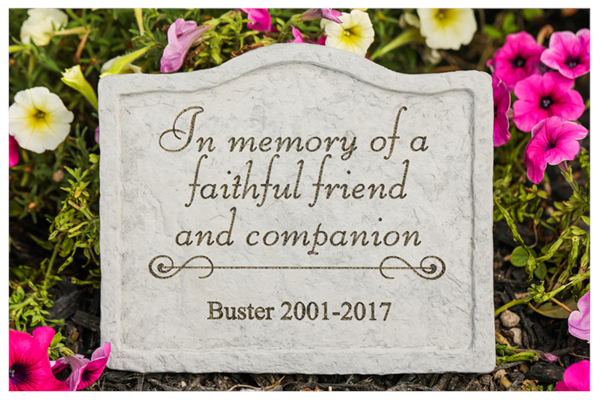 A personalized memorial for the garden is a beautiful way to remember a beloved pet. Made with cast stone and fused glass, the personalization is permanently embedded into the remembrance. Made in the USA and comes with a lifetime guarantee. "In memory of a faithful friend and companion"
Please allow 2 weeks to create plus ship time.